The new government took up the power with the slogan of NAYA PAKISTAN. The dream was to make Pakistan a better place to live with a better future. Last few decades were too challenging for the country. The places like Swat that was once visited frequently got totally deserted due to the rising terrorism. This also kept away the foreign investors. Although to some extent the things got better after the military actions major steps had to be done to ensure more foreigners coming into the country. The first major step in this regard is the changes made in the visa policy of the country. There has been a great liberalization in the new visa regime. 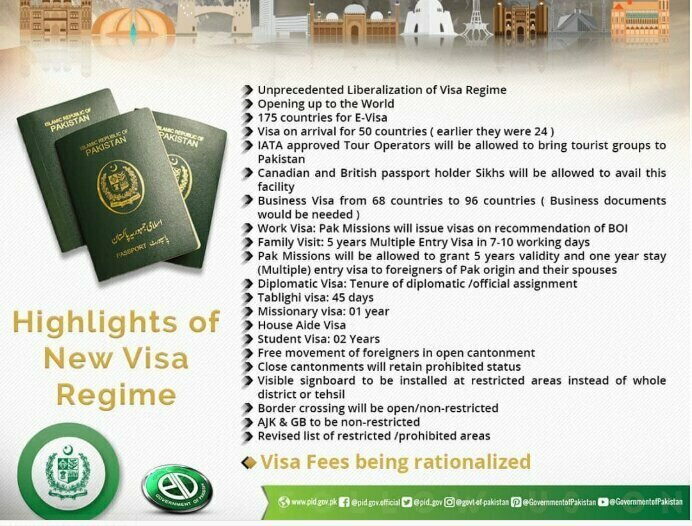 The goal is to let the world see Pakistan in a different perspective and for this, the new visa regime will be a completely new door opening towards them. Considering the growing significance of the technology people of 175 countries will get the chance to acquire E-visa by sitting in the comfort of their home. 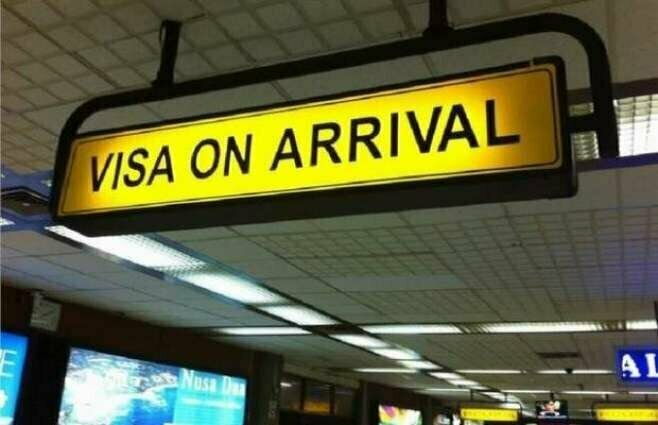 Visitors from 96 countries will be able to acquire on arrival visa. For the initial phase, 24 countries will be enjoying this advantage. If the tour operators are registered by IATA, then they will be allowed to bring tourist groups along with them. The same will be applicable for the Sikh community members holding the passports of Canada and England. The number of the countries that were given the business visa was 68 previously. This number has been increased to 96 now. On the recommendations of the BOI wor,k visa will be given to the visa seekers. The families can get a multipurpose visa for the duration of 7 to 10 years. Pakistanis with foreign origin can now get a visa for 5 years once they are allowed by the Pakistani missions. The diplomatic visa duration will depend on the nature of the assignments for which the officials are coming. The religious leaders will be able to get the tablighi visa for 45 days. The student visa will be extendable and will be initially given for just 2years. There will be some restrictions for the people coming to Pakistan. They will not be allowed to go to the closed cantonment areas. The revised list of other prohibited areas will be later issues. The visitors will now be able to visit the great beauties of Gilgit Baltistan and Azad Kashmir. The nation hopes to see a better and brighter Pakistan.